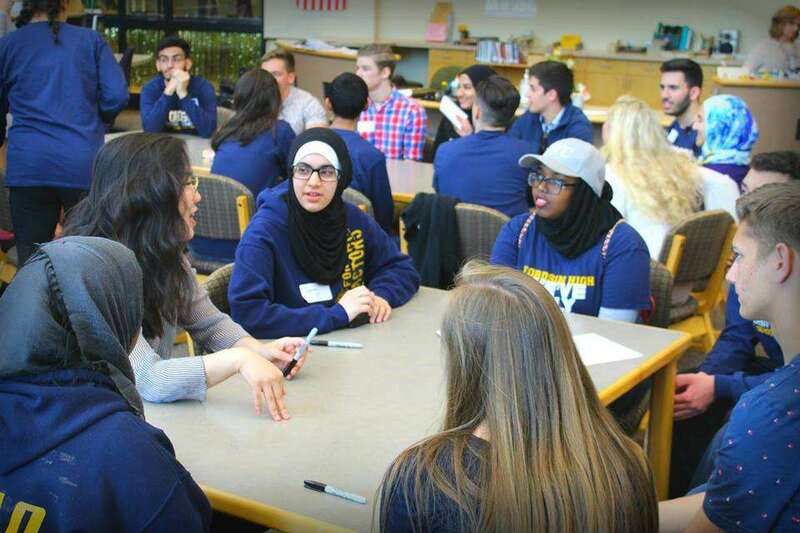 Fordson High School students converse with Hamilton High School students to learn about life in west Michigan during a visit on May 7. “There were great conversations, great food, and, most importantly, new friendships formed,” a Hamilton Community Schools Facebook post read. Following the visit, students from both schools attended the Tulip Time Festival at Evergreen Commons and Windmill Island in Holland. In November, Hamilton High School students visited FHS and the Arab American National Museum in Dearborn. 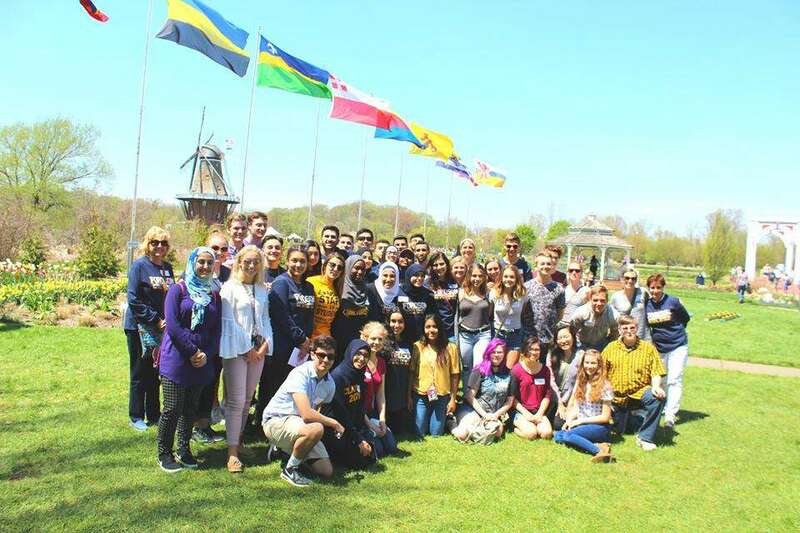 Fordson High School and Hamilton High School students attend the Tulip Time Festival at Evergreen Commons and Windmill Island in Holland May 7. Prior to the festival, FHS students visited Hamilton High School to converse with students and learn life in west Michigan during the visit. “There were great conversations, great food, and, most importantly, new friendships formed,” a Hamilton Community Schools Facebook post read. In November, Hamilton High School students visited FHS and the Arab American National Museum in Dearborn.